LifeSeasons PreMense-T is a dietary supplement formulated to help regulate hormonal imbalance and menstrual cycles, thus soothing symptoms of breast tenderness, menstrual cramps, and more. LifeSeasons PreMense-T contains a proprietary blend of herbs and vitamins that support healthy menstrual cycles by nourishing reproductive organs and supporting uterine tissue tone and blood circulation. For example, the product's content of chaste berry supports the balance of estrogen and progesterone levels, while cramp bark - as its name suggests - helps soothe cramping and irritability. Likewise, anti-inflammatory ginger and vitamin B6 help relieve irritability, reduce fluid retention, and alleviate other PMS symptoms. 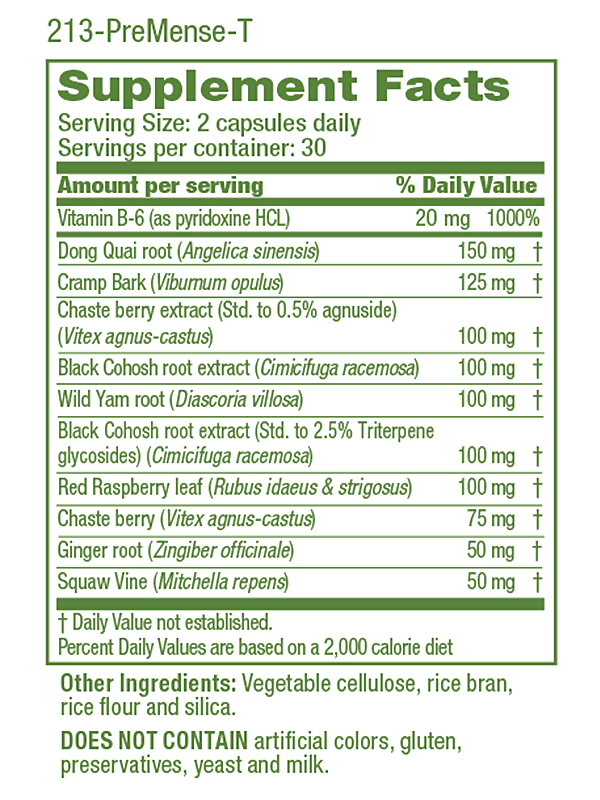 This supplement does not contain artificial colors, gluten, preservatives, yeast, and milk. Consult with your healthcare provider first before taking these supplements, especially if pregnant or nursing. Discontinue use if adverse reactions occur upon consumption. If the cap seal is broken or missing, refrain from using. There is no mention of short- or long-term side effects of LifeSeasons PreMense-T. However, users on Amazon report adverse reactions of dizziness, heart palpitations, extreme mood swings, and insomnia. Positive reviews rave PreMense-T for alleviating PMS symptoms of mood swings, cramps, irritability, anxiety, bloating, fatigue, and breast tenderness as well as for helping reduce heavy flows. Negative reviews criticize the supplement for not working as well as for causing side effects of dizziness, insomnia, heart palpitations, and extreme mood swings. Positive reviews praise the supplement for bringing control to their menstrual cycle patterns and relieving PMS symptoms. Negative reviews are not present on company site. Take capsules every morning with or without food. It is recommended to use consistently for at least a period of two months before expecting results. Keep out of reach of children. 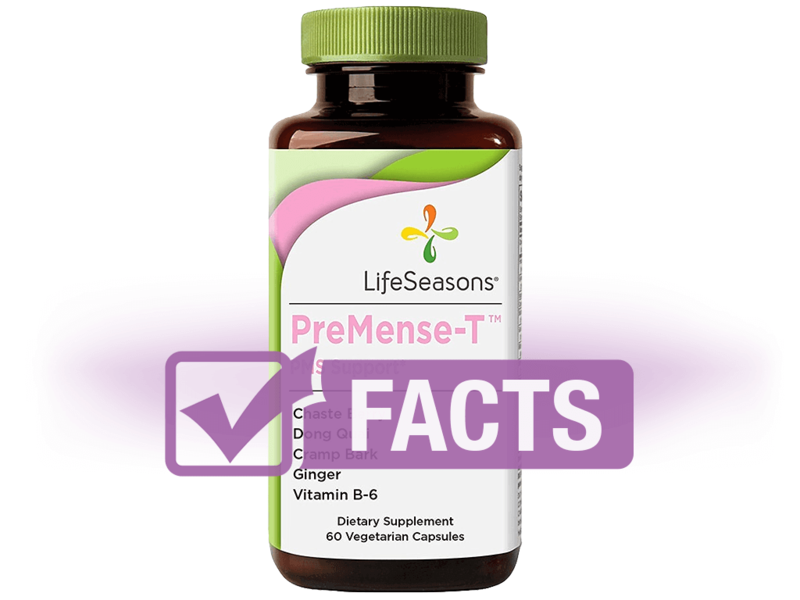 LifeSeasons PreMense-T can be purchased from the company's website, Amazon, or select retailers, such as Whole Foods or the Vitamin Shoppe. LifeSeasons® PreMense-T™ is a registered trademark.